Elegant pair of high quality adjustable Y-back suspenders in polka dot design. Joined in the back by a leather joiner patch and finished with an elastic strap for comfort and fit. 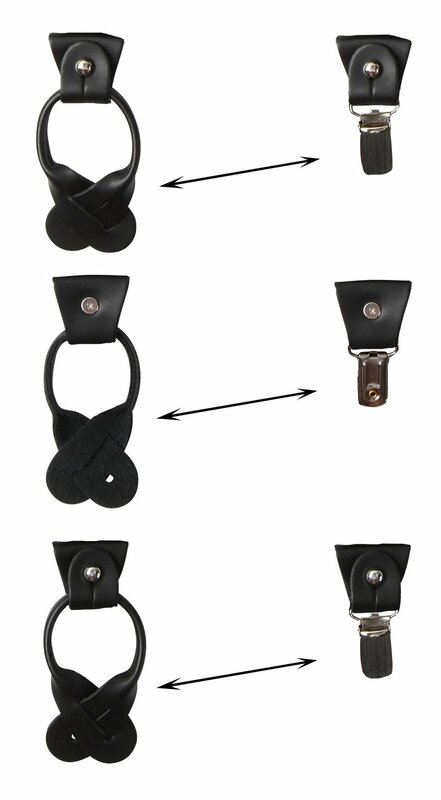 High end “drop-clip” closures features a leather trim between fabric and clip for a classier finish. 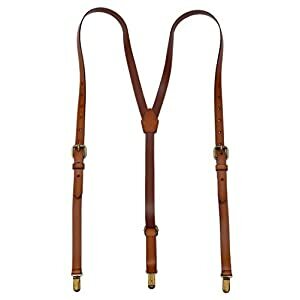 This can be a Jacob Alexander pair of polka dot premium suspenders. Made in a Y-back formation, the front straps are crafted from a high end microfiber. The dimensions are approximately 1.25 inches in width, with a comfortable adjustable standard 48 inches in length. The Y-back meets at a leather joiner patch in back, either black or brown; colors were chosen to complement the fabric color. 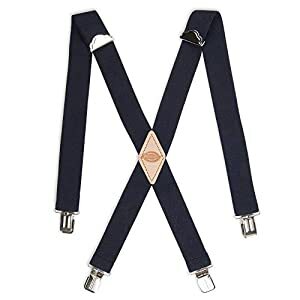 The suspenders fasten to your trousers with a clip connection or with leather ends for a button-on attachment, giving them a more polished look. 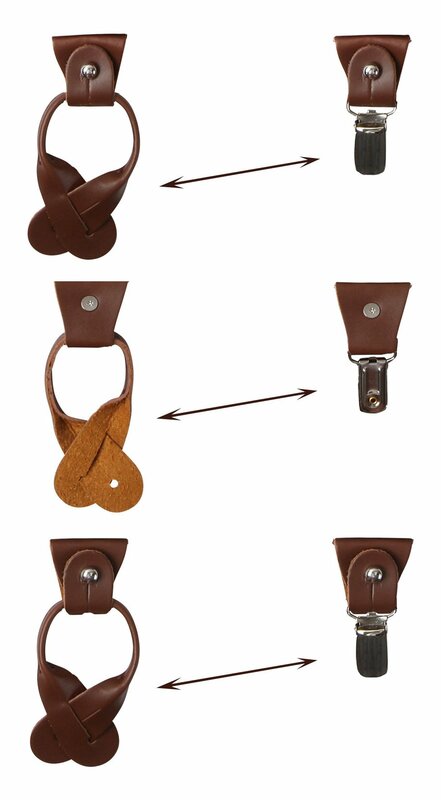 There’s a leather drop-clip feature; a leather trimming between the fabric and the clip which adds a beautiful element to the suspender in addition to crucial functionality – keeping the fabric at full width without the appearance of squeezing when it connects to the clips. The clips and adjustable sliders are made of high-quality hardware finished in a color contrasting finish of either silver or gold – to complement the color of the fabric. As all the time, Jacob Alexander products come with a money back quality and satisfaction guarantee! 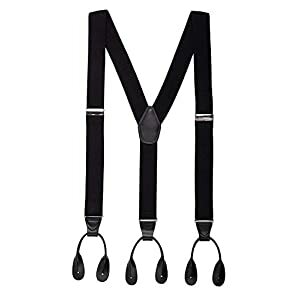 Elegant pair of prime quality adjustable Y-back suspenders in polka dot design. Joined in the back by a leather joiner patch and finished with an elastic strap for comfort and fit. Features convertible ends of top of the range button-on leather, and of metal clips, for safe fastening with easily adjustable slide hardware for a great fit. Clips and hardware finishes chosen specifically to complement the color of the fabric. Authentic Jacob Alexander money back guarantee quality item.